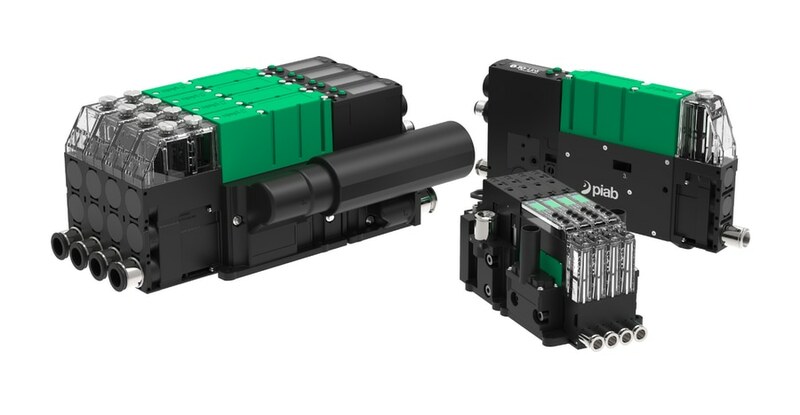 piCOMPACT23 SMART from Piab is an IO-Link-ready vacuum ejector that operates on either standard 24V IO or IO-Link, and IO-Link is included as a standard option. It provides point-to-point links between sensors and actuators. 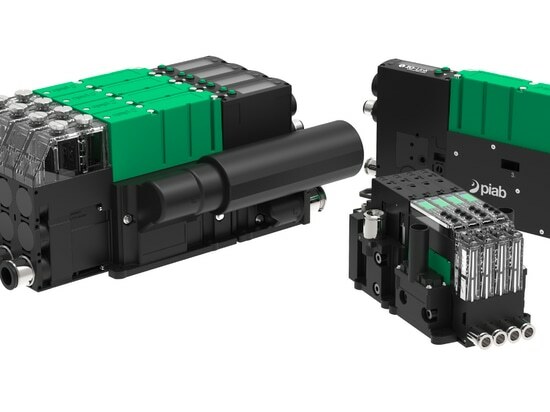 It can be used with any type of fieldbus, letting users easily link different systems within a plant. The device meets IP65 and has a gyro-based display function that simplifies readings, reducing the amount of errors and increasing productivity. Optocouplers maintain separation between valve and sensor lines in the ejector and adds another level of security, lowering the risk of accidental equipment damage or personal injury. Standard energy saving features include Piab's proprietary Automatic Condition Monitoring which can detect leaks in deactivated mode, enabling quicker trouble shooting and maintenance.